The i-unit group was not satisfied with the audio quality during remote meetings. They were looking for a portable solution with excellent audio quality for use in their conference room but also at their client’s offices. 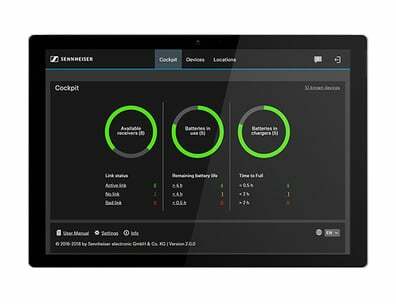 The Sennheiser TeamConnect Wireless Conferencing System eliminates acoustic problems during audio and video conferencing at i-unit. The portable yet robust carry case makes the system easy to move between locations. 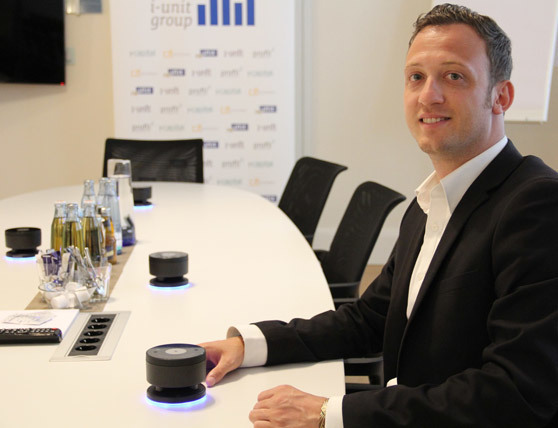 "We are extremely happy, the design is pretty impressive, the units are eye-catchers on our conference tables"
i-unit consulting group has equipped all of its six offices with the portable TeamConnect Wireless audio conference system. No more intelligibility problems at virtual conferences. The Sennheiser solution installed at i-unit group has an invaluable additional feature: it leaves customers with a long-lasting impression, underscoring the technological competence of the company. Profile The i-unit group offers industry-independent, holistic management consulting for SME´s from start-ups to company succession. It happens quite often: customers are sitting in the conference room at an i-unit company office, see the glossy black satellites of the TeamConnect Wireless solution, and ask: "What's that? How does it work?" TeamConnect Wireless is great for small talk in the run-up to a business meeting, reports Denis Seefeldt, Managing Director of i-unit affiliate CIT Networking. "The design is pretty impressive, the units are eye-catchers on our conference tables." When partners or customers realise that the satellites with the blue light-ring produce an absolutely persuasive audio performance in both directions, Denis Seefeldt can chalk up some plus points for i-unit. "One of our promises to customers is that we can deliver the best technologies, so it only makes good sense, if we ourselves use state-of-the-art technology." Having an audio solution which is impressive in terms of both technology and options at the core of our telephone and video conferences definitely has a positiv effect on the reputation of the consulting group. "A very important point," adds Mr Seefeldt, "is above all when you consider this kind of investment from an ROI viewpoint." 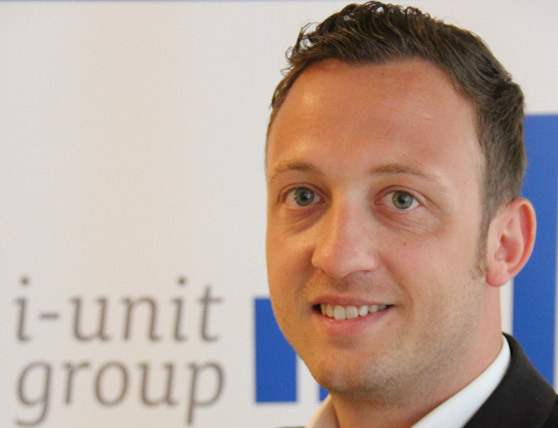 i-unit, domiciled in Brunswick, Germany, is a management consultant to mainly SMEs, providing services through five companies at six sites. The firm received several "Best of Consulting" awards from business magazine BrandEins und Statista in 2014, 2015, 2016 and 2017 in various sectors. Video and audio conferences play a big part in how i-unit remains in dialogue with its customers while also underpinning internal communications between its sites. Audio conferences use a number of different web-based providers, while video conferences deploy Cisco WebEx. Denis Seefeldt: "It is pretty important for us that we implement current, user-friendly and reliable conference technology. There is nothing worse than "technology problems" accompanied by hectic plugging in and out of equipment during meetings." The audio quality never fully satisfied the people at i-unit. Standard spider phones delivered poor microphone quality, the speaker could only really be heard when he leaned over the “spider phone”. Denis Seefeldt tried many different systems out, "but nothing was really absolutely convincing." Until the day Sennheiser provided a version of the TeamConnect Wireless set with four satellites including charging and transport case for a trial. "We had good results right from the start. Everybody quickly accepted the new hardware; the microphone and loudspeaker quality were perfect; acoustic problems were thankfully a thing of the past.” i-unit group not only kept the test set, they ordered two additional sets. One is for mobile applications at customers, the other as a back-up. All conference rooms at all i-unit group locations are scheduled to have the Sennheiser audio solution installed. One of the consulting firms objectives is to have the same technical standards in place at all sites. Another is to install state-of-the-art video conference cameras. This is part of planned long-term evolution in which even greater use is made of teleconferences as a communications tool. It is also on the cards, reports Denis Seefeldt, that the group's annual conference will be virtual in the future. " The technology allows this now without quality loss." One thing about TeamConnect Wireless which Denis Seefeldt likes in particular is its reliable functionality and ease of use. In the i-unit group configuration the master satellite is clearly marked and important notes and instructions on how to use the system are printed on a DIN A5 card which accompanies each set. It means staff can set up the solution without any outside help. They just connect the microphone-loudspeaker combination to a computer, either by cable or Bluetooth, and can get on with the virtual conference. When visiting a customer, the solution is also used in combination with a Smartphone. "We are extremely happy," sums up Denis Seefeldt, pointing out that initially the price of the Sennheiser product did put a question mark on the investment as a whole. However, the benefits of successful virtual conferences cannot be overemphasised. Together with the brilliant marketing presence of this innovative product, the cost-benefit ratio is definitely positive.